There are many legitimate work from home jobs. Many of these jobs need no extensive qualifications or skills. In this post, I will give you a brief review of the 10 best work home jobs. Cactus Communications provides good training programs and professional development that are meant to help its “Cactizens” achieve their professional and personal professional objectives. Cactus Communications has a diverse work force, both in nationality and perspective. Cactus Communications has hired for telecommuting, freelance, and part-time employment opportunities in the past. Cactus Communications Jobs require that editors be familiar with Excel, PowerPoint, and Microsoft Word and has excellent English grammar skills. You will also need to have a minimum of a bachelor’s degree in a science field to apply. Telecommute jobs are basically as significant as office-based employment. At CACTUS, you will join a group of highly trained editors and writers who are professionals in diverse academic fields. CACTUS is 15th position after a screening of more than 40,000 organizations on FlexJobs Top 100 organizations for Remote/Freelance Jobs. In several instances, editors format manuscripts to be submitted to science or medical journals. You will be working with information related to engineering, physical sciences, medicine, chemistry, and healthcare. It is convenient to work from home and thus very flexible as you can telecommute from anywhere in the world. Cactus employees receive plenty of training to prepare them for the job. Employees have infinite access to special interviews with industry professionals, contents on the most recent industry trends, and writing tips and publication on Cactus discussion and learning platform. Employees have access to research carried out globally and get insider’s opinion of the burgeoning, multi-million-dollar publishing industry. A telecommute job does not simply save time but also spares you from the much-dreaded travel fatigue. With a telecommute job, you will have more time with your friends, family and make time for your hobbies. You can center on personal growth while being professionally challenged. How Much Does Cactus Communications Pay? At Cactus Communications the pay depends on the nature of the employment. Its employees are payed an average of $46,827. Pay ranges of $32, 410 for editors and $59,026 for strategist. Application for job opportunities is done online and you are required to take an online test too to determine your qualification. In the first instance, you take a multiple choice editing test where you will be given a short document to edit. Employees enjoyed working for this company and they would do it again in an emergency. By working from home, it is observed that people are opportune to earn two incomes yet pay fuel for only one car. Hilton hotel management hires work-at-home reservation agents for its several properties, which include Hilton Hotels, Hilton Garden Inn, DoubleTree, Homewood Suites, Hilton Grand Vacation, Embassy Suites, Hampton Inn, and Home2 Suites as well as for customer service for its HHonors member’s program. The Hilton hotel management at Home program is seen as a job at home setting that upholds the principles of stimulating work, flexibility, and individuality. The customer service system offers 24-hour assistance to guests, handling more than 34 million calls yearly. There are two basic kinds of Hilton’s home-based positions: customer service and reservation sales. The majority of the hours available at this full-time employment and part-time positions are weekends and evening. Jobs are not meant independent contractors and they are not seasonal, as a lot of remote call service jobs are. Hilton hotel management jobs provide employees with an ethernet cable, computer, flash drive, keyboard, and mouse. Agents are expected to provide a monitor, phone line, the landline phone (no cell phones or VOIP), a wired Internet connection, webcam, surge protector, headset, and speakers. Agents should have a silent place to work. The payment at Hilton hotel management varies depending on the position and task handled. For instance, Reservation agents are paid $9 an hour including incentives, which brings the pay to around $11-14 per hour. Benefits include a 401(k) savings plan, hotel discounts globally, medical and dental, paid time off and more. To get a job at Hilton hotel management, go to the Hilton@Home website. When making a search for open positions you can check the “work from home” box to search for the remote jobs available. Applications are taken online, and eligible candidates will be contacted. After being contacted and chosen, training is carried out online and last 4 to 7 weeks long. It demands candidate’s full concentration; the training is paid at a lesser rate than the employment. 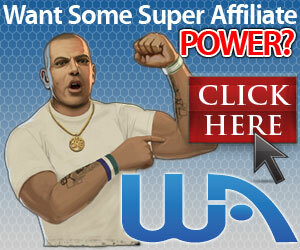 Immediately you completed the training you might have some opportunity for bonus/commission. In its hiring practices, Hilton Worldwide tries to be military friendly. It emphasizes that it provides nearly 800 service men and women jobs. It also including “it’s partnership with Recruit Military and other community-based organizations. This job offers better life or work balance as working at home allows you to get to spend more time off the roads and with your family. Spending more time with family clearly makes employees happier, which contributes to an increase in job satisfaction and a reduction in pressure. This Company provides a pretty decent health care package which includes dental and vision coverage. UnitedHealth Group is the largest health insurer in the United States. They provide work from home positions to many. More than 20 percent of this large health insurance company’s employees take advantage of its telecommuting opportunities. Qualified nurses are employed by UnitedHealth Group for telecommuting posts and knowledge in the insurance sector is a plus. Many of the work-at-home nurse posts include seeing patients in their homes but several are telephone-based positions. Non-nursing posts at UnitedHealth Group that might be considered telecommuting comprises of medical coders, contract managers, auditors, Medicaid specialists, consultants and analysts. Qualified information technology experts find telecommuting jobs such as applications developers, data analysts, and business process analysts. IT experts can obtain a medical coder telecommuter post. Important qualifications are; licenses in RN/LVN/LPN or licenses in Certified Coder. Employees are require to work for the Optum organization, part of UnitedHealth Group. A work-from-home telecommuter post for a certified expert in mental health include a position as a TRICARE Behavioral Health Utilization Manager which requires certification in RN, LMFT, or LCSW with behavioral health knowledge. The job comprises of consultations with clinicians, review of cases, discharge planning, and helping in developing treatment plans. Application is done online on the UnitedHealth Group Website. Prospective job seekers must be aware that it takes at least 30 to 45 minutes to complete the application and the latest copy of your resume tailored to the post you are seeking for should be uploaded. When searching for available jobs, you need to enter “Telecommute” in the search box, enter job number or job title, then hit enter. Alternatively, you may look down the left side for the Telecommute Post alternatives where you may choose yes to view only telecommute positions. You may also search by posting date, location, business unit, job field, job level, scheduled (part-time or full-time), travel and shift. You may have to take qualifying questions and possibly assessment testing. After an application review, you may be contacted for an interview. Interviews could be done in person, on the telephone or via video. The average pay rate depends on the position occupied for instance average UnitedHealth Group hourly pay for Inbound Customer Service Representative varies from approximately $11.20 per hour to $26.00 per hour for Greeter. The standard UnitedHealth Group salary varies from just about $22,990 per year for Customer Support Representative to $77,160 per year for Incident Managers. Work from home is great if you can get it. The company is starting to bring employees back into offices and being very selective with work from home. You do have the ability to work from home, very flexible work environment focused on getting work completed. Benefits are great and affordable so corporate at UHG does value their employees and health. Better life or work balance, being physically working at home allows you to get a better balance between career objectives and family life. By working from home, it is observed that people were opportune to earn two incomes yet pay fuel for only one car. Kelly Services provide a complete range of consulting and outsourcing services as well as world-class staffing on a direct-hire, temporary-to-hire, and temporary basis. It is a global leader in offering workforce solutions. Kelly Services plays a role directly in connecting thousands more with work via its worldwide network of talent partners and suppliers. When looking for an exciting job you can do from the comfort of your own home? Kelly Services has been the head of the temporary staffing industry since 1946. While they still lead the way in managing temporary job arrangements throughout the globe, they also thrive in work from home programs which is referred to as KellyConnect. Kelly services always search for service-minded, motivated, and reserved people who are ready to offer their clients an incomparable experience over the phone. Kelly Services always have several job opportunities available that enable individuals to work from home. KellyConnect offers employees performance-based incentives, career advancement opportunities and earned paid time off. The pay structure for positions held via the KellyConnect program varies, with an initial salary range of $13.00 to $15.00 per hour depending on the scope of support and skill set. The pay scale rises from there as the position level advances. The right of admittance to the Kelly Education Center, an internet training campus with a broad range of free and low-cost courses to assist, develop or enhances professional and personal skills. When compared with other employers, what employees will benefit from Kelly Services; it is believed that you will agree that Kelly is the employer of choice for a work at home lifestyle! Kelly services work at home hiring procedure is convenient and simple! The majority of the steps is computerized and may be completed in the comfort of your own home. Complete The Online Pre-qualification Questions: The online pre-qualification is a short questionnaire that requests essential questions to guarantee prospective employees have the required skills and suitable work environment required for working at home. Partake In A Telephone Interview With A Kelly Recruiter: A Kelly recruiter will appraise your qualifications to make sure you have the minimal requirements and ensure you will be given a job that best suits your desires, abilities, and skills. Complete online testing: Kelly services’ internet testing will examine your technical contact center proficiency to assist and establish the kinds of jobs for which you are best suited. Complete online on boarding: From the expediency of your own house, you will examine Kelly innovative on boarding application and submit all essential hiring information. Applicants are required to visit their local Kelly branch to complete the required I-9 paperwork. Applicants are required to complete their I-9 documents in the attendance of a Kelly staff member. The Kelly Services team will work with you to identify positions that match your qualifications and provide support and guidance while you are working. For the women, they don’t have to pay for childcare as they are at home when their children came home from school. A good place to start at the bottom, good Company to learn the ropes in that kind of business engaged great way to network for one’s next career step. Good stepping stone type of company for anyone just out of college. Employees enjoy working for this company and would do it again in an emergency. The only thing that could be a bit more competitive is benefits. Xerox assist governments and businesses develop efficient flow of work to allow better performance, transformation, and agility. Xerox remains true to their legacy by providing a solution to business problems with varied services, modern technologies and the expertise of Xerox people. Xerox offers work from home jobs regularly, including occasional data entry work! Another interesting fact about Xerox is that they are more than just copy machines and paper products. Part of their home-based jobs comprises things such as doing Medicaid research and examining medical claims. So how can you apply to work for Xerox from home? What jobs do they have available? Is it open to everyone or limited to certain states? How hard is it to get hired? How to Apply and get hired to Xerox Work From Home Jobs? To get the work from home jobs at Xerox, go to the Careers page and Search for jobs related to your choice. Then do a search for “work from home” in the keyword box. You can also use their advanced search and specify virtual positions on the options section. Another alternative for finding the present home-based jobs via Xerox is FlexJobs. Though it is a fee-based job search board, It has been critically examined to be worth the $15 monthly fee they charge because they ensure no scams are posted, in addition, several legit organizations share their leads there exclusively. How much does Xerox pay? The pay varies based on the position being applied for, but it seems that the pay is pretty fair. Basically, their pay rate is on the average of $10 to $10.50 per hour. Generally, working from home can save you several dollars each year in fuel expenses alone. It also drastically minimizes the number of miles included in your odometer, which translates into incurring minimal maintenance costs and extending the lifespan of the vehicle. You have absolute control of your work environment when you work from home. Without the frequent disturbance of noisy coworkers, you will be more productive. The temperature, lighting and decoration scheme could be tailored to your choices. Being physically situated at home allows you to get a better balance between family life and career objectives. Having more time with family obviously makes employees happier, which contributes to an increase in job satisfaction and a reduction in stress. What are people’s comments concerning working from home for Xerox? Overall the chatter is positive. It is one of the best work at home forums. When a prospective employee asked in a forum what to go with after receiving offers from Xerox and a few other organizations, they were told by several former Xerox employees to go with Xerox. With Xerox Services, there is something for you to learn every day. Every situation you encounter is unique on its own. Sutherland jobs has featured work-from-home/fully remote and part-time post in addition to ” spoke and hub positions,” in which employees come into a physical setting for a definite period of time and later change to work from their home office with infrequent on-site training or courses meetings. Sutherland@Home program was launched by Sutherland about eight years ago. It began as a comparatively small division and later subsequently actually began to expand and pick up steam! Sutherland work-at-home program was re-branded a year and a half ago under the name CloudSource. Sutherland has developed their team in each capacity and keep on developing. The culture at Sutherland is amazing, supportive and fast-paced! CloudSource workers are supported and well-trained. The employees that work-from-home have some very unique online tools to assist them interact with one another, even a ‘Facebook-like’ tool that enables them to interact and share their family photos, personal side, etc. with their fully remote coworkers, to assist build similar forms of friendship you would see in a traditional place of work. They also have some innovative technology in place to assist in managing requested shift changes, schedules, etc. right from their mobile devices. CloudSource telecommute/work-at-home program helps Sutherland clients by offering a flexible and diverse workforce. There as well a peace of mind that comes with the group of staff being spread out all over the country. The pay rate varies based on the position being applied for. Their pay rangeS between $11.14 to $11.29 per hour. Sutherland Jobs also provides staff advancement opportunities, performance-based incentives and earned paid time off. An applicant will apply through an online application. After an application for a work from home based position is received, an email with a link to perform tests on personal computers and Internet Service Provider is sent to the applicant. Verification will be done to ensure to that applicant has the required technology to allow them to work for Sutherland. A series of assessments, recorded interviews will be conducted. Live interview are also conducted to assist in evaluating candidates and make hiring decisions. Sutherland is a great organization to work at. The starting pay could be better. Their help desk is of great help to remote employees. They have pretty good clients. They have great work schedules. Training is top notch and the trainers are approachable and very friendly. Work from home position might be difficult for some but is very rewarding. Great Support and advancement opportunities available. Appen is an award-winning language technology solutions and consulting firm. The business process outsourcing company creates a better experience for customers by improving search engines services which include data collection, data annotation, search relevance evaluation, social media evaluation, transcription and linguistic consulting, teaching, social media platforms of e-Commerce companies in different industries thereby expanding them into global markets. With over 400,000 agents and independent contractors in more than 130 countries working in more than 180 languages and dialects, Appen ramp up their clients’ teams so they can respond to ever-changing customer needs. Many of the company’s existing employees have the option to work from home or any location worldwide. However, there are large numbers of freelance or independent contractor positions that are home-based. These include jobs in Search evaluation positions which require minimum of four 4-5 hours per day during the week. People use their social media skills to earn more income through Appen as Social Media Evaluation experts. The social Media Evaluation expert position allows for so much flexibility where agents are allowed to work anytime that seem convenient for them but must be sure it totaled 20-25 hours a week. Many of the independent sit at home contracting positions such as data annotators, translators, Search evaluation get paid hourly. Average Appen hourly pay ranges from approximately $12.10 per hour for Independent Consultants to $30.00 per hour for Data Collectors. Researchers earn approximately $84.59 per day on the average, Search engine optimization positions average daily wages of $50 and $95.00 per day for English Teachers. Crowdsourcing projects are paid at a rate per hit, which varies (Crowdsourcing Appen uses to describe its micro jobs). Payments of a $50 minimum are made on a bimonthly basis though the company claimes top Crowdsourcers can make up to $23 an hour. For search evaluation jobs you must be “a native or near native speaker” in the required language. Many of the company’s independent contractors are fluent in one or more of the 120 languages and dialects it works in including Arabic, Bahasa Indonesia, Cantonese, Catalan, Croatian, Dari, French, English, Gallego, German, Greek, Gujarati, Haitian Creole, Hebrew, Icelandic, Kannada, Kazakh, Kermanji, Somali, Spanish, Swedish, Tagalog, Tamil, Telugu, Urdu, Vietnamese, Xiang etc. Beside these qualifications there are other technical requirements that must be met. 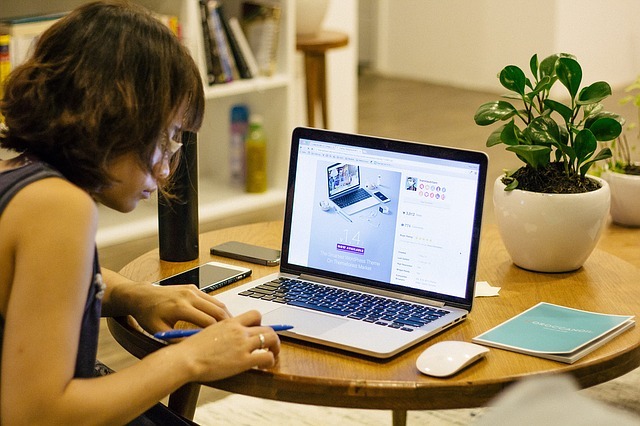 Work-at-home agents must provide a computer that is less than three years old, stable high speed internet connection with antivirus software and high-speed Internet. There must be a personal computer that must be dedicated to this job and it should run on an OS not older than Microsoft Windows Vista or Mac OS operating system. (No tablets are allowed). A microphone that uses VOIP can be required in some projects. After the application which involves giving your personal details and internet references (social media references), it may take several weeks before you get a reply directing you to the next step. Selected applicants are required to undergo a compulsory free training process that may about 25 to 40 hours of commitment over one to three weeks when recruited. Named as one of top 100 Companies offering flexible jobs since 2014, 2015,2016 and 2017, Appen offers work from home opportunities for exciting, short-term and full-time corporate opportunities across the globe. It has a great reputation and they are known to pay their contractors on time. Teletech is a business process outsourcing company which partners with major companies throughout the globe, help them find and train a team of at home employees to handle important business functions that don’t necessarily need to be conducted from a central office building. The firm provides opportunity for people to truly find a part time, telecommuting job prospect that they can do easily and successfully from the comfort of their home. We all know that most online jobs are side jobs to compliment one’s pay check, more like opportunities that require a lot of time and effort – and many times, a lot of money before steady income can be guaranteed. TeleTech, on the other hand, genuinely offers a work from home opportunity, which gives you the chance to keep a specific schedule with a steady pay rate and a direct deposit paycheck fortnightly. Located in Englewood, Colorado, this global BPO has a staffs and agent capacity of 50,000 people in about 15 countries. Although the firm hires virtual (or work at home) call center agents in the United States and United kingdom to services its clients, much of it’s global workforce is office based. These functions include customer call Service and technical support, “back office processing” such as financial transactions or social media management responsibilities as well as Analysts, Agents bilingual in French, German, Spanish, Dutch many other languages and many more. TeleTech specializes in creating lasting connections between companies and their customers so they can acquire, retain and grow even more profitable customer relationships producing thousands of sit at home jobs in the process. TeleTech’s clients are leaders in Industries such as Automotive, Communications, Media & Technology, Financial Services, Government Solutions, Healthcare, Property & Casualty Insurance, Retail & E commerce, Small- & Medium-sized Business, Travel & Hospitality. To work with TeleTech there are some recruitment requirements which must be met such as having a dedicated home office that you can ensure will be quiet and interruption free for at least 4-6 hour shifts each day. You must possess a personal computer, have access to high speed internet service (cable,DSL or fiber connection), dedicated land line for the purpose of this job only, ability to work the minimum working hour (20 hours a week, but the work averagely take 20-30 hours per week including weekend and holidays ) and should be above 17 years of age. It should be noted that your personal computer must meet a specified requirements which allows you to run TeleTech app flawlessly. After ensuring your computer meets the requirements, you can go ahead to fill out an online application and take a skills assessment. Teletech should send you a mail in about three days stating whether, based on your application and assessment, you would be interview for a position or not. If you are successful at the interview, another computer test is performed and an offer will be made. Drug testing and criminal background screening is required but TeleTech finances the test. The average TeleTech agent’s salary ranges from approximately $19,596 per year for Call Representative to $92,601 per year for Systems Analyst. Average TeleTech hourly pay ranges from approximately $9.50 per hour for Credit Specialist to $21.45 per hour for Account Executive. Compensation for working with TeleTech depends on the position recruited for, the company assigned to, and the hours you work weekly. TeleTech employees enjoy some benefits such as placing the bigger percentage of it’s workers on health insurance, and the larger part of employees have dental coverage as a benefit. Only about 25% of the employees are paid for vacation and sick time. Nevertheless, many workers take advantage of the 401(k) plan that Teletech sponsors. Arise connects independent call center businesses to Fortune 500 and other large companies to provide on-demand customer service. The pay is based on experience and performance. The management is slow to respond and sometimes, their response leaves you more confused. Hours are not always available at the time you need/want to work. Sometimes you have to wait in a chat to get things authorized. If you are not an IBO you can not confirm your pay rate and to change IBO’s they have to drop you and if they don’t you are stuck. Arise offers great opportunities, but nothing in life is perfect and one good thing usually comes with something bad. It is convenient to work with Arise because you get to choose your schedule, you get to choose who you want to work for depending on what contracts are out in that moment. Even though you get to pick your own hours, that doesn’t mean the hours you want are always available especially at the beginning. The schedule is released to you depending on how well you perform and how much work you have been doing; so someone who has done well and has been working a good amount will get the schedule sooner than you. So from the start, when you have very little to show for experience, you have to basically take whatever hours are available, to prove yourself so you can hopefully get higher up on the priority list, because most of the time the people on the list take all the good hours. It is doable but its hard at first so keep that in mind. As I mentioned earlier, you get to choose who to work for but not every contract is the same and the training time can vary. Usually, it takes about a month long and you do not get paid during this training time so make sure you have some other way of making money in the mean time. I can not emphasize enough how important it is to get a good IBO that is the person who will be paying you. If your IBO is not good you wont have the information you need to find a job and when something happens you won’t have anyone to fight for you with Arise or the company holding your contract. You have the option of becoming an IBO. To do this, you will need to have an LLC but its worth it in the sense that you do not get as much money taken from you. Arise charges $20 each pay check which is every 2 weeks for you using their company. After that the IBO can charge you what ever they want; some do a percentage of your check others do a set amount each pay check. However, if you are your own IBO all that gets taken is the $20 Arise charges but the downside is you are the boss so if something is wrong you cant just go to your IBO to fix, you have to fix it. Plus side is, as an IBO you can have as many people under you as you want and charge them what you want so you have the opportunity to have a full on business if you are smart about it. Each contract has its Pros and Cons, this is a great opportunity if you can make it work. 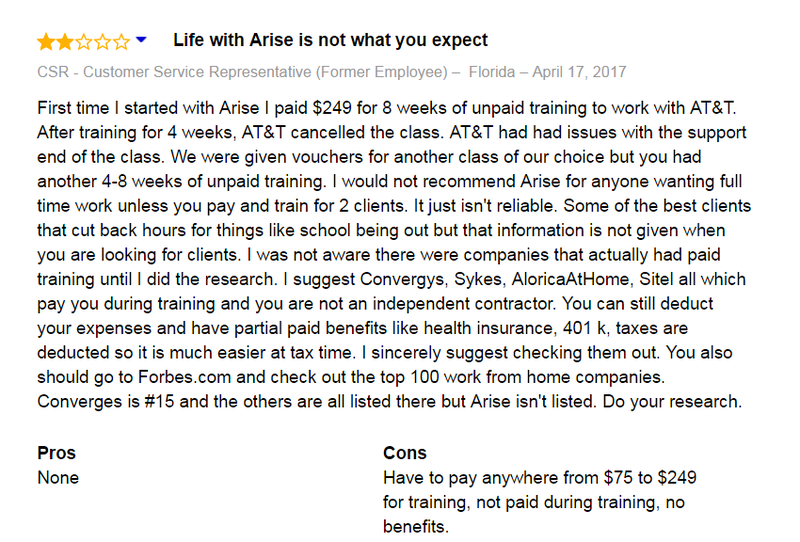 I don’t recommend using Arise as your main source of income because jobs are not always available. Each contract only lasts about 3 months and after that time they can choose to drop you or keep you and if they drop you, you have to go through a whole other training of a month without pay to start working again. Its a good side thing for a stay at home mom/dad but not the main source of income. Sykes is a global leader in providing customer contact management solutions and services in the business process outsourcing (BPO) arena. SYKES offers an array of sophisticated customer contact management solutions to Fortune 1000 companies around the world, primarily in the communications, financial services, healthcare, technology and transportation and leisure industries. You’ll be working as a phone agent, most likely (they do have training, team lead positions.) If you have customer service experience, you’ll do fine at this job. They also do billing and technical support. Also, you are an employee while working with Sykes, so you need to meet their requirements to work. For example, you have to provide proof that you are a Canadian or American citizen, over the age of 18, and eligible to work in the country in which you reside. You will be required to have a computer with a reliable internet connection, POT, and a quiet office space, etc. They hire in most Canadian provinces and United States. What to expect in Application/Hiring Process? Due to temporary site construction: you will want to complete the application from a desktop computer. The assessments are designed to understand your capabilities and skills. You may not hear back from them right away. Watch your email as this is the most common and expedient way to reach you. When they find a position you might be interested in; they will invite you to virtual interview. Like everything else in the process, it is 100% online and over the phone. The interview consists of both individual and group discussions. Interviews will be conducted in English. If you are offered a position and choose to accept, you will be asked to complete the required paperwork and pre-employment checks just as you would with any other employer. Because you are working remotely, it may involve a bit of extra running around. You’ll get paid bi-weekly via direct deposit. Since you’re an employee the pay will be based on the minimum wage in your location and your experience. You also have health, vision, dental, and other benefits. Don’t forget about paid vacation after you’ve accumulated enough time. Depending on the laws in your area you’ll also be eligible for paid leave for sick days. If you’re working on a state holiday, you’ll get time or double time and a half. Also, even though it’s minimum wage think of all the money you’ll save on travel and things you can claim on your tax return. Sykes is a legit way to work from home. You’ll get minimum wage, benefits, a steady schedule, and income working as an employee. If you’ve worked in a brick and mortar call center, Sykes is just that, except in your home office. Is this a full-time, part-time, or extra-money type of job? As an employee with Sykes, you will be either a full-time or part-time worker depending on which schedules are available out of training at the time you’re hired. If their system is down, fear not, you will be paid assuming it’s their issue and not your personal tech issues. Sykes is a good place to work from home. The pay is minimum wage but you get to skip all the traffic involved in working in a brick and mortar office. The above companies offer work at home jobs and are among the top work at home companies.